Hello everyone! I thought I would switch it up a bit this month and invite you guys to art journal with me. 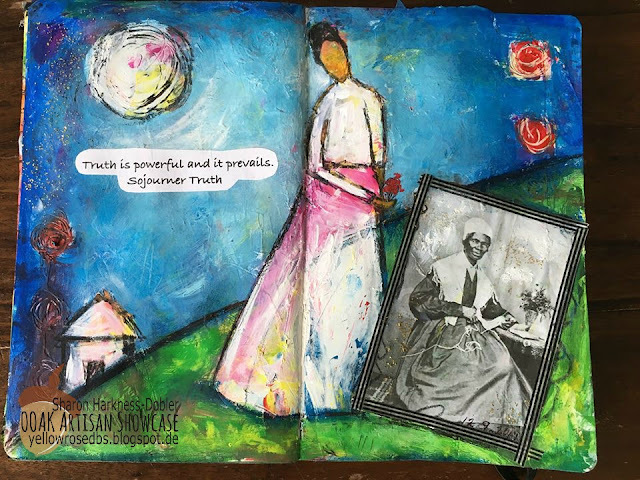 I’ll be using my Ancestral Journal to show you how I incorporate vintage photos into my art journal spreads. You can also use family photos for this project as well. So, grab your art journal, your favorite supplies, and a photo and let’s get started!